Home » JUNIOR, BOYS & GIRLS GOLF CLUBS » DRIVERS & FAIRWAY WOODS FOR BOYS & GIRLS » BOYS MAGNUM 460cc 12 DEGREE DRIVER wBOY'S FLEX GRAPHITE SHAFT; TEEN, TWEEN or BOY'S TALL LENGTHS RIGHT HAND + HEAD COVER! BUILT in the USA!! NEW by AGXGOLF: BOY'S EDITION "MAGNUM" SERIES 12 DEGREE 460cc OVERSIZE FACE DRIVER!!! The Suggested Retail Price for this item is $99.95. Your price is MUCH BETTER!! 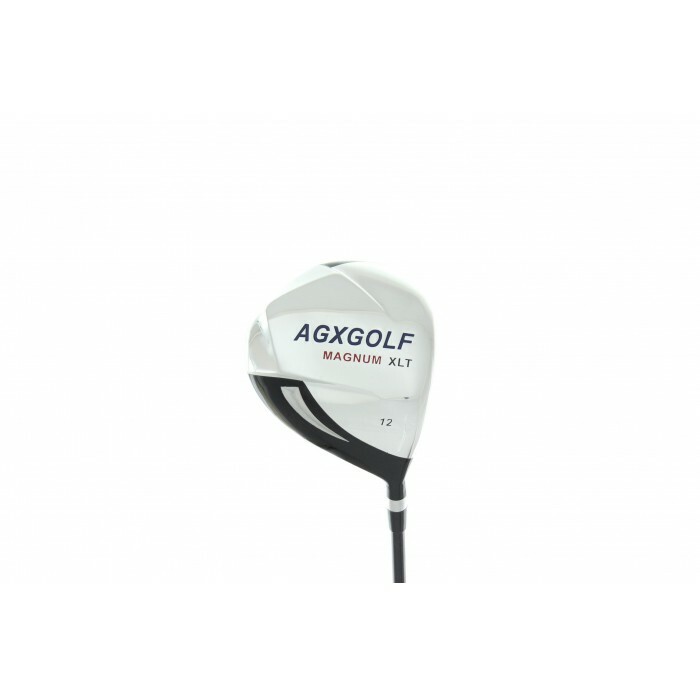 The AGXGOLF "MAGNUM SERIES" OVERSIZE GRAPHITE SHAFT DRIVER is the smart way to go for young golfers struggling to get off the tee! The DRIVER is the tallest club in the bag and that is why it so difficult for young golfers to CONTROL!! The LARGE OVERSIZE FACE greatly improves the chances of GETTING THE CLUB FACE ON THE BALL!! 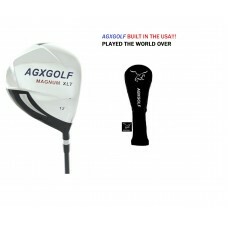 So, if getting off the Tee has been a problem, this LARGE FACE DRIVER may be the SOLUTION!! Another challenge off the TEE is to avoid "slicing" shots. The MAGNUM NXT BOY'S Driver's slightly "offset" head promotes better hand position that helps to keep from "pushing" or hitting the dreaded "slice"!! It's also a smart up-grade to the latest technology from an older style driver. What makes this CLUB HEAD so effective is the Physics behind it: Having the weight distributed farther behind the club head increases the moment of inertia; (HIGH "MOI") this reduces the torsional rotation of the club head. Simply put: the club head is more likely to come through the ball "square" and that means more straight shots and less hooks and slices!! OVER SIZED 7075 FORGED HEAD WITH VERY LARGE "SWEET SPOT"!! As always we have had excellent feedback with AGXGOLF DRIVERS, SO HELP YOUR YOUNG GOLFER TAKE THEIR GAME "THE DISTANCE"!! BOY'S "TEEN": For HEIGHTS of 5' 1" to 5' 7"
BOY'S "TALL": For HEIGHTS of 5' 6" to 6' 0"